The expression 'time flies' is so true. 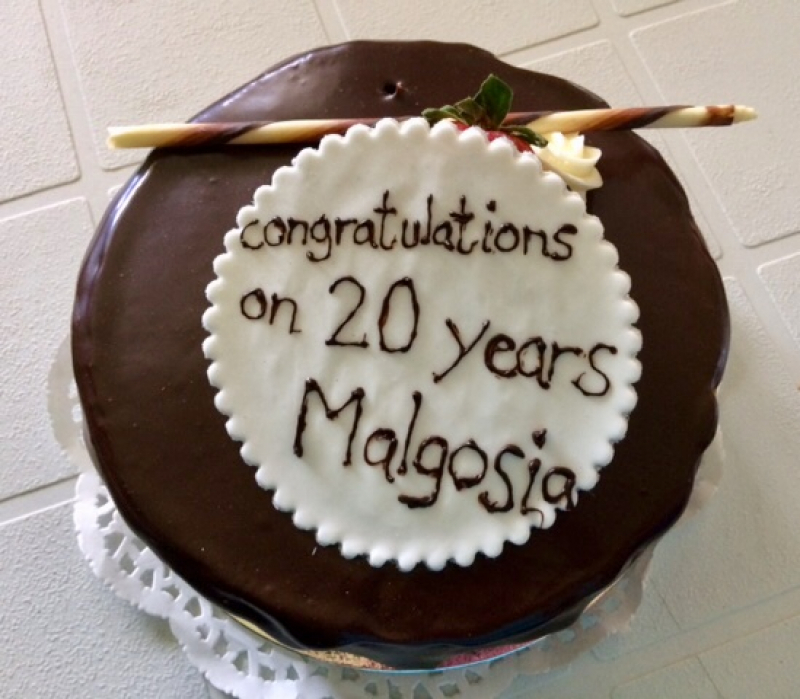 This week, our team was happy to show their love for Dr. Malgosia DeAngelis by celebrating her 20th year in practice at our Lorne Park Dental Associates office! Dr. DeAngelis is a busy lady! She continues to love running and even 'wows' us by doing an occasional triathlon. Her devotion to her family, including her husband, teenage daughter and younger son, is clear. They keep her moving too as they enjoy travel and many other wonderful activities together. When it comes to her dental patients, they couldn't be more fortunate. Dr. DeAngelis' skill and reputation for exceptional care is well known. Whether it is a routine dental check-up, a filling, tooth bonding, dental crowns, a root canal, dental surgery, a tooth extraction or dental implants...Dr. DeAngelis' work is always precise and extremely well done. Her beautiful smile and friendly manner endear her to us and our Lorne Park Dental Associates' patients. Our entire team sends warm congratulations and best wishes to Dr. DeAngelis on her first 20 years at Lorne Park Dental Associates in Mississauga!